Whether it’s sitting down to a delicious family dinner, hosting a gourmet feast for friends, or throwing an elegant cocktail party, Chef Sami Fgaier will give you the freedom to be a pampered guest in your own home. Imagine, after a long work day, being greeted at home by the fragrance of Roasted leg of lamb or crab cakes made with fresh lump crab meat. A Private Chef can take the stress of meal planning out of your day- so you can spend more time doing what you want. Chef Sami Fgaier can design menus around your specific needs and preferences – with attention to dietary restrictions, allergies, and of course, taste. The meals are cooked to order in your home and either served to you hot off the grill or packed up with instructions for you to reheat later. Sharing a fantastic meal with friends and family is a luxury everyone enjoys. Imagine the delight of having the incredible food you crave, professionally prepared and served to you in the comfort of your own home. Chef Sami Fgaier can help you plan the parties you’ve only dreamed of throwing. How about a first class Brunch where you don’t have to lift a finger? Maybe you would like to recreate your favorite steak house menu with perfectly cooked Filet Mignon, Baked Potato and Iceberg Wedge. Imagine how much fun it would be if you knew the food and service were going to be incredible. Leave the chaos at the restaurants – have Le Personal Chef cater your next party. Throwing a cocktail party has never been easier or more fun! 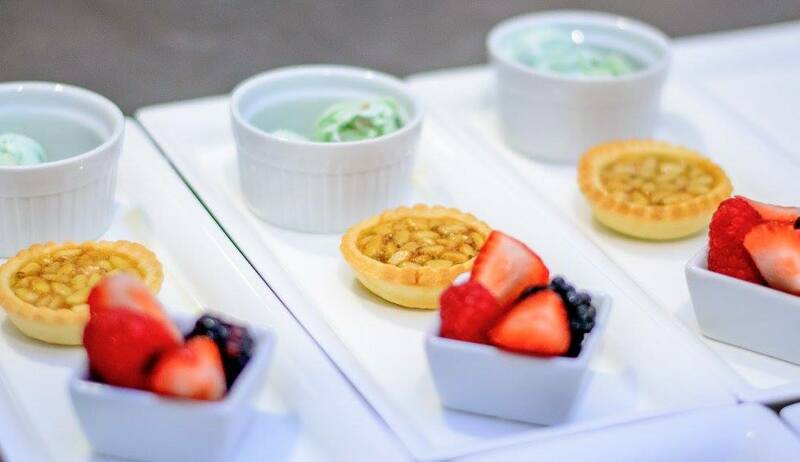 Let Le Personal Chef Catering take the stress away- with professional staffing, attention to detail and food that your guests will be talking about for weeks. Think Tuna Tartar with Wasabi Cream or Mini Crab Cakes with Jalapeno aioli – instead of Cheese Cubes. Think Fennel Scented Spinach and rosemary redskin potatoes. And then imagine it served professionally and cleaned up as if we were never there. Collaborate with Chef Sami Fgaier to create memorable dining experiences in the comfort of your own home. 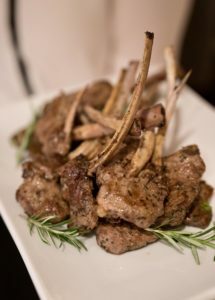 Pair your impeccable taste with Chef Sami’s remarkable talent to wow your guests with flavor and flair. Allow his staff to take the utmost care in preparation and cleanup so you can sit back and enjoy world-class cuisine at home and among friends. Picture it now: The decadent dress, the clink of champagne flutes, the twinkle of candlelight and a room full of your nearest and dearest. It’s the day of your dreams — your wedding day — and Le Personal Chef’s show-stopping food is the very food one dreams of feasting upon in celebration of love. Whether you’re thinking innovative fare with gourmet flair, or a selection of timeworn favorites to warm the heart, collaborate with us on a wedding reception menu designed to showcase your personal culinary style while pleasing every palate in the room. We’ve all been there: the dreary corporate event made even more monotonous by poor service, abysmal appetizers, and the same, old, stale entree choices. But you want your event to rise above. To impress, inspire, and invigorate your colleagues or clients. It’s going to take a little more than hiring a dynamic speaker or A-list entertainment — you need to partner with a culinary genius. Look no further than Chef Sami Fgaier. As creator, owner, and head chef of Madison’s beloved Le Chardonnay restaurant, Chef Sami knows a little bit about business. And he knows quite a lot about making an unforgettable impact by serving tremendous food. Hosting a meeting for VIP clients at your office? Let Chef Sami bring in a tempting gourmet box lunch. You’ll close the deal and leave the cleanup for his staff. Chairing a crucial formal fundraising gala? 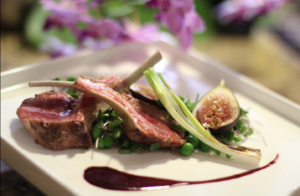 Le Personal Chef will dazzle your guests with just the right food for the occasion. Instead of bland salmon or uninspired stuffed chicken breast, enjoy a swiftly seared filet of mahi mahi garnished with tropical fruit salsa, or serve a hearty bowl of richly savory boeuf bourguignon. Swap a wilted Caesar salad for cubed watermelon tossed with tangy feta and mint. Taking the team on a corporate retreat? Bring along some mussels grilled over an open fire, accompanied with warm hunks of freshly baked French baguette.